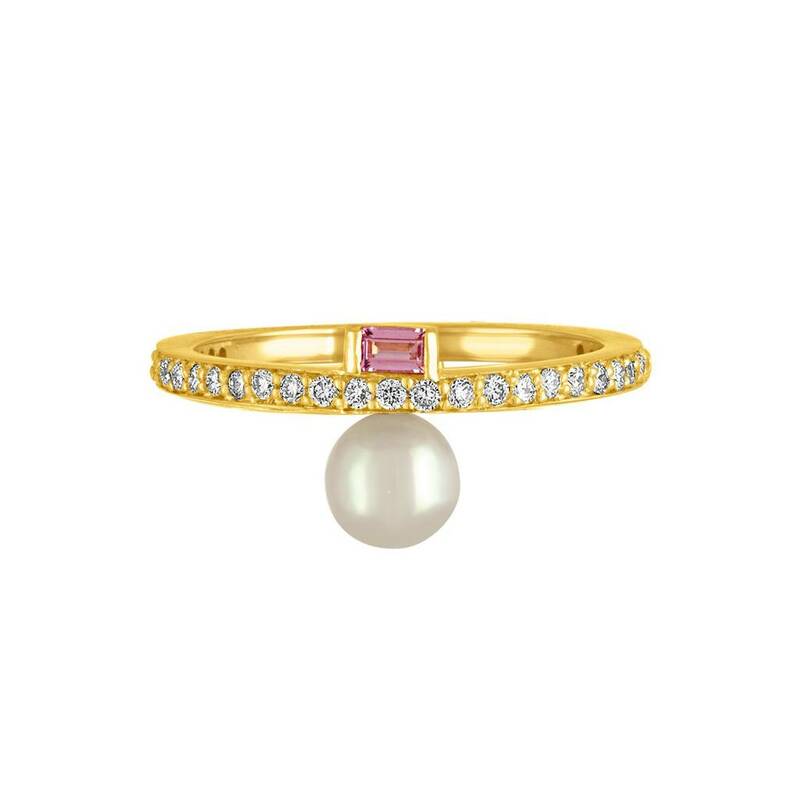 The Mini Claire Ring is constructed of 18k Yellow Gold, Pink Sapphires, & one Fresh Water Pearl. A beautifully delicate ring! Looks wonderful on my index finger. 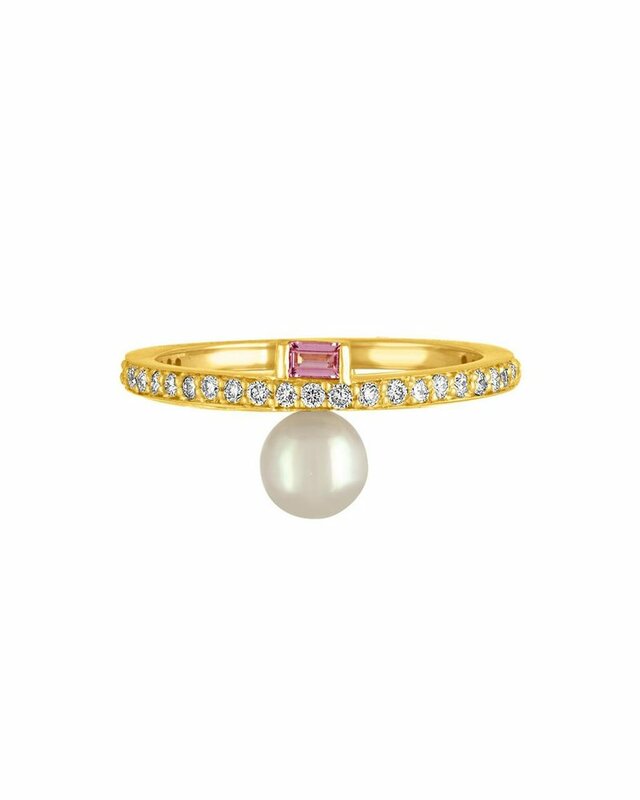 This is such a delicately beautiful ring. I'm so happy I purchased it! This ring is so delicately beautiful; I absolutely love it! It is an eye catcher, as I've received many compliments.